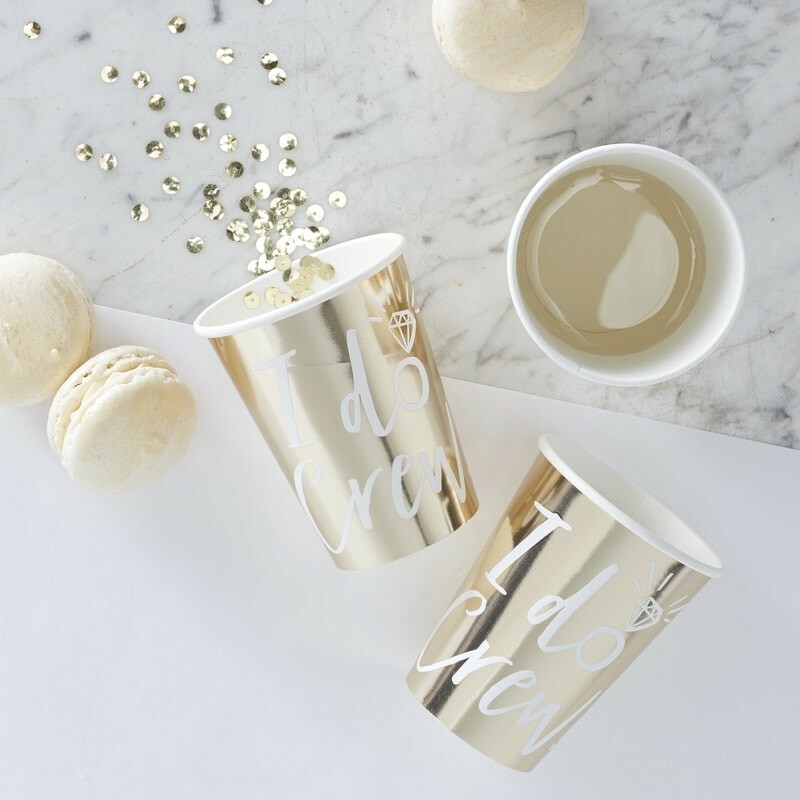 These wonderfully golden 'I Do Crew' cups will ensure you and your hens sip away in style from day to night. The gold foiling will shine bright around the party and the cute ring detailing will be loved by everyone - a chic little cup for trendy hen celebrations. It's all in the details after all! Each pack contains 8 cups to help you get the party started!